Let us not forget this. Sorry is the art is a bit fudgy, had to take a few shortcuts. Is it bad I pronounced it that way originally before reading your second part? Time to consult the Geniuses! Hey now. Don’t hate the user of the Mac. I’m too cute to hate. And I’d probably look hideous in a cardigan. If you call ahead and they aren’t busy at the time, they may be willing to arrange that for you. Or at least, at their prices, they ought to be. I’m not sure if they can do lightning, but I’ve heard that they keep John Woo’s doves on-call for just such occasions. Everybody looks hideous in a cardigan eventually. Having a face sticking out of ones crotch is an unattractive quality. …at least for most people. Cardigan should only be said by people with horrendous scottish accents. Imagine it… roll it around…. and feel shame. The nice thing about Macs for artists is there isn’t a significant color difference between the RGB on the screen and the CMYK on paper. Dunno if Windows still does that, but it certainly used to. Also the reliability is good. My dad’s old IIsi still works perfectly, when we bother plugging it in. The newer models are a little less so, but still last longer than any Win machine I’ve ever seen. My dad bought a Mac SE secondhand some time ago, that still runs flawlessly when we bother to bring it out. And I bought my brother an old PowerBook G3 a few years ago. It’s the only one of two Macs (the other is a Mini) that we use regularly; all our other machines are Windows. And yes, I always found the color discorrelation between Windows and printers to be rather irritating. I’m not sure if that’s still the case. Older Macs are more reliable but they’re not really compatible with Adobe CS4 or CS5 because you can’t upgrade the video card. I guess it all comes down to personal preference and what your used to. I’ve found that the quality of the printer and subsequently drivers also seems to help, and that newer printer tech has a fair bit of influence on color fidelity between screen and page. Give your computer a cookie! (The chocolatey-chip kind, not the Internet kind.) And I say, if you can afford a Mac, by all means go for it! I’ve heard artists love them. Using a Mac is like making love to a beautiful woman: if you respect her, touch her just the way she likes, and don’t try to force it she’ll run image editing software FANTASTICALLY for years. A PC is more like a skanky ho: throw it across the room enough times and it’ll eventually bring you a sandwich. That’s a joke, but it really happened. But seriously, love your Mac it’ll love you back; love your PC it’ll love you back. P.s. The thought of being whipped by the Shadow Guy with the pimp-whip arroused me. LOL Scott here do you come up with these punchlines?! I’m thrilled that the comic computer crisis is moving along. I <3 you for posting that. I do tech support in yuppie-ville, and plan on keeping a few of those on hand to show people that tell me they're going to buy Macs or prattle on about how great their current one is. …or I would if I could get away with it without getting fired. Again, I don’t know how often this happens, but it does happen so I figured I’d better warn you, especially since your computer is important not just to you, but to your loyal viewers. Every now and then, stuff like what happened to your brother does occur (though with an extended applecare warranty, you get free replacements parts and servicing for three years), but by and large there’s a lot less that goes wrong with a mac than compared with a PC. Not to mention the lack of viruses. Nobody makes viruses (or trojans or malware or basically anything else you need to watch out for on the internet other than horrifying pictures) for mac os, and even when they do, macs come with virtually all the protection you could possibly want. Yeah the two Macs we had for public internet usage at the library got so badly infected they had to be put down. Poor little Macs never stood a chance. 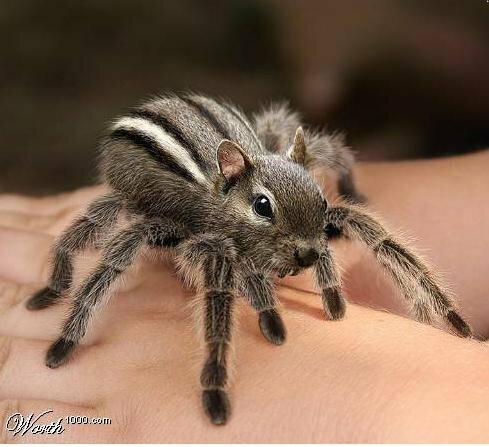 …dare I ask to what Squirrel spider you are referring to? I don’t mind the art being fiddly, I’d love this comic if it were drawn on the back of a cereal box. Aside from being hilarious, I have several top secret arts and craft projects inspired by it. Will post photos as they complete! Actually, the whole Macs don’t get viruses thing has been debunked more and more in recent times. Since they have become a much more popular choice, it’s become worth it for people to gear viruses specifically for them. A quick search should reveal more than one article about it. 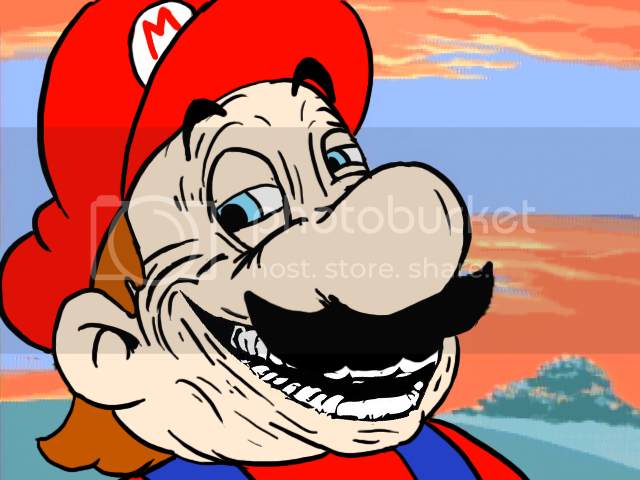 Also, if anyone ever became interested enough in singling out a Mac user, they’re some of the easiest systems to hack into if Pwn2Own results are to be believed. Thats kiiiiiiiiiind of a silly argument. Hard drives failing on PCs that is. Since that is a hardware issue its down to the hardware manufactures. The Mac platform is controlled by the company so if you are buying a mac you are only ever dealing with the one company (some see it as a pro, some as a con). With PCs there is a lot more choice. There are parts out there on both sides of apple’s quality. Its just up to the consumer. Saying Mac vs PC when talking about hardware is like talking about Toyota vs Everything else. Finally I have internet access!!! It’s been too long… I can finally breath in the succulent air that is webcomics. Ahhh… So much better. Well, it was never a doubt that Chase wasn’t a hussy and/or disobediant whore. The pimp whip was used properly! chase needs to be on a t-shirt, dressed just like that, saying “I feel like a disobedient whore.” THAT would be the perfect T-shirt,lol. I prefer Macs, actually. I have been using computers for 15 of my nearly 18 years, and I have just had less problems with my Macs, than I have with my PCs. Granted, I have not been the one buying the computers, my parents buy the cheapest PC they can find, and the Macs I have used belonged to my school, as well as some of the PCs. But even comparing the PCs I have used at school, with all of their added software, to the Macs I have used at school, I prefer Macs. The school computer I am using now was a PC, and I have more problems with it than anything else, whereas the Mac I used I had no problems with. But all it really is is a matter or personal choice. Wait… so why haven’t they reconzised him? Is he in some sort of disguise?